My first introduction to Hatay cuisine was at Antiochia in Beyoğlu, where I became fixated with the region’s sumptuously textured and complexly flavored mezes. Their spicy notes and bold use of walnuts and herbs evoked fond gastronomic memories of Aleppo and Damascus. And with good reason. The Hatay region was annexed to Turkey in 1939, so its recipes mirror those of Syria more so than those of its Turkish neighbors to the north. Antiochia’s mezes may have sparked my interest in the Hatay but it was the region’s desserts, like ceviz tatlısı (candied walnuts drizzled with tahini) at Ciya in Kadikoy and künefe (soft white cheese enveloped in shredded phyllo dough and soaked in syrup) at Koşebaşı that really sealed the deal for me. I arrived at the suburban bus station in Antakya, the region’s main city, well after midnight. The shuttle service dropped me off on the deserted Istiklal Caddesi between the sludgy Orontes River bed and the old town. I found a hotel nearby, strategically located near Sultan Sofrasi, the next day’s lunch destination. 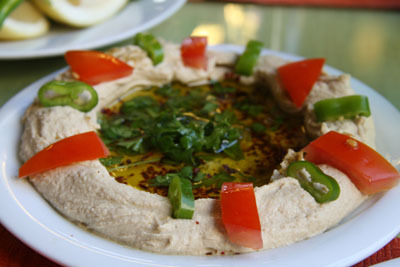 Sultan Sofrasi was highly recommended both for the quality, as well as for the ample of selection of dishes. My main objective in Antakya was to try as much of the local cuisine as possible during my brief sojourn and with over 20 homemade dishes to choose from, Sultan Sofrasi fit the bill. I spent the next morning wandering around the covered bazaar and working up an appetite for lunch. At noon sharp, I pushed open the door of Sultan Sofrasi and made my way to the back of the dining room where steam tables and stainless steel pans displayed the day’s offerings: hummus, muammara (a walnut and red pepper paste), oruk (called içli köfte elsewhere in Turkey, a shell of bulgur wheat filled with minced lamb and ground walnuts), yoğurt aşı çorbası (yogurt soup with herbs and oruk), aşur (pounded lamb meat, boiled wheat, chickpea, ground walnuts and herbs). Much to the dismay of the staff, I ordered all of these things, as well as a few types of börek, flakey pastry filled with vegetables. I admit this is a revolting amount of food for one person, but I wasn’t about to squander a precious culinary opportunity. I had come far enough, after all! I grabbed a table and waited anxiously as my selections were plated and colorfully garnished with sliced veggies and fresh herbs. The meal that followed was a lesson in terroir. Peppers that grow in the Hatay make deeper, sweeter muammara. Ewes that graze on the region’s plains make a richer, more pungent yogurt. And bulgur wheat that dries in the intense Hatay heat just taste better. After a considerable pause, I ordered künefe for dessert. The local kral cheese was wrapped in a web of phyllo shreds woven just yards away in the covered bazaar. The syrup soaked pastry, and indeed the meal that preceded it, was a clear affirmation: Sultan Sofrasi was worth the 500-mile trip.